Our most recent VALOR excursion landed us in Southwest Virginia. Known throughout this great land for their tough resolve, hard work ethic, and independent way of life, Appalachia Virginia offers a view of rugged beauty in both landscape and culture. As I reflect on our experience, I cannot help but think of the economy of the area. It is well documented that Appalachia Virginia suffers from poverty, unemployment, and poor economic conditions for business. What’s not so well documented is the undeterred grit and determination of business and government leaders to do something about it. Farmers like to see work get done. It’s just our nature. My nature was recently validated by the “Strengths in Leadership” survey, where I found out that I like to engage in “laborious activities.” [My wife – not so surprised] So when I see how Carroll County, VA, under the leadership of Gary Larrowe has sought to create an environment embracing production, I get excited. Production of goods leads to the cycle of growth; for without production, we have nothing to save, thus with nothing to grow. So let’s take a deeper look into the economic philosophy that is driving what is happening in Carroll County. There are two prevailing economic theories that dominate discussion today. The first dominated the 19th century, and was heavily influenced by minds like Adam Smith; today the conversation has been steered by Lord Maynard Keynes. This difference in philosophy creates a paradox in the view of employment. The productionist would uphold the philosophy that because there is always much to be done, due to man’s ever increasing desire to accumulate wealth, potential jobs are limitless. The only problem, however, is making them remunerative (paying substantial dollars to be worthwhile). Meanwhile, a consumptionist views expansion of production as a threat to that which is already being produced. They would tend to argue that new machinery “threatens” jobs. The threatening of these jobs would lead to contraction in production somewhere else. The productionist would view these machines as an ability to make life easier, offer more leisure to the workers, and create new opportunities of production that otherwise did not exist. This view of production and employment can be further exemplified by a great cartoon/comic written by Irwin Schiff, anti-tax advocate and political prisoner in 1980, called How an Economy Grows and Why it Doesn’t. The comic begins with three men living on an island. They survive off of fish they catch with their bare hands. With no tools to do so, subsistence is rather difficult. Such low production is also risky; get hurt, you can’t fish; can’t fish you don’t eat; don’t eat, you perish. Well, one day Able dreams of a better way, and devises a net to catch the fish. Now here is the risk, Able must forgo a day of fishing to create this new dream of his, the net, therefor he must sacrifice eating today in hopes that tomorrow his catch will be double. There is still the possibility that his idea/dream will not work, and he will not eat for a third day. Now this risk and time preference does not work for Charlie and Baker, Able’s two island-mates. They cannot allow themselves to miss a day of production and not eat. Now let’s skip to Able’s big day, his net is finished and it is time to adopt his new method of production. Able has created a capital good. He forwent two days of production (fishing) to create this net. His reward hopefully is more fish, and more leisure time during the day. For this illustrative purpose, Able is rewarded with two fish as a result of fishing with his new net; as opposed to one with his bare hands. Now when Able goes fishing, he is twice as productive. He can now use his time to create other tools. He creates a rake to raise his carrots, which he previously did not have time to do because he spent all day trying to catch a fish. Able is now on the fast track to the cycle of growth. By delaying his consumption today of fish, Able was “saving.” This saving promotes the development of more capital, which creates more to save (the carrots), and so the cycle goes. With every lap around the cycle, he gets wealthier, as both his standard of living and assets (capital) increase. This also increases his security, since he is no longer dependent on the lone fish he could catch to survive. What does all this boring theory and fishing examples have to do with VALOR excursion VI? 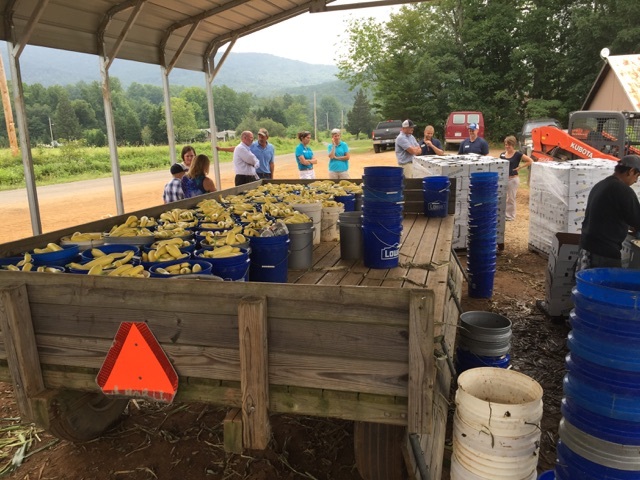 Carroll County, VA has businessmen and county leadership that has embraced production. What it has yielded are good jobs, and most importantly, wealth creation. This wealth creation begins the cycle of growth. 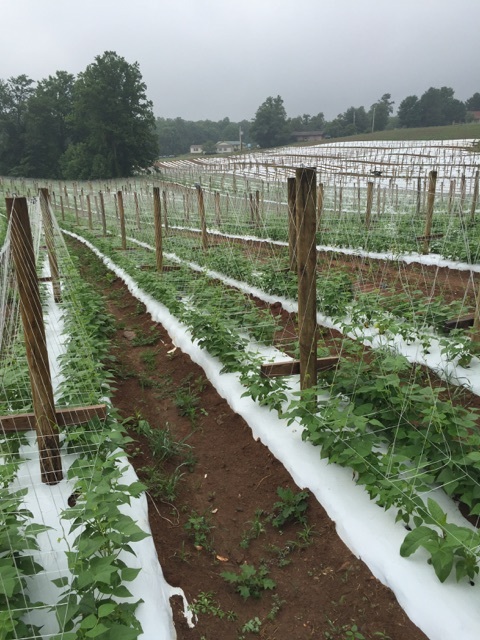 Two striking examples of this cycle of growth are Virginia Produce Company and the Worrell Family Farms. 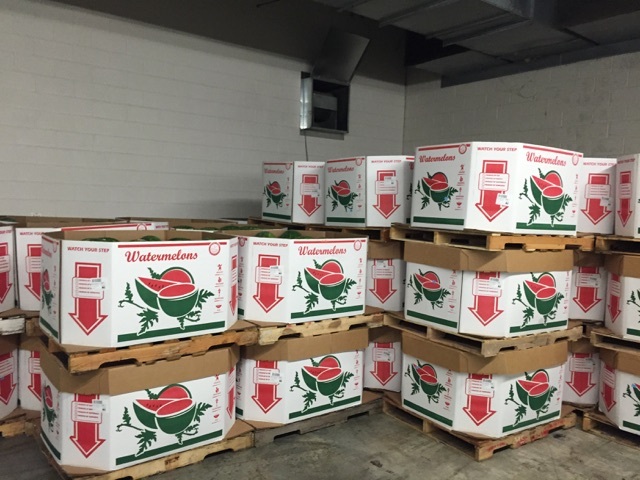 Virginia Produce Company (VPC) has experienced tremendous growth over the previous decade. Their slogan gives you insight to the culture of hardwork and success; Planting Seeds, Growing People, Harvesting Hope. 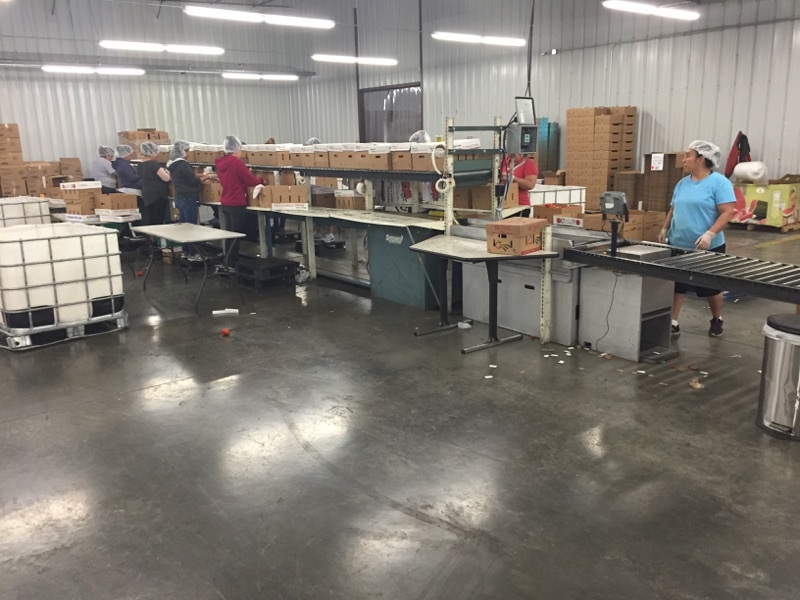 With their sacrifice and hard work, Virginia Produce now employs many people in their packing line, truck drivers, and most importantly, offering farmers in the region with a stable market for their produce. 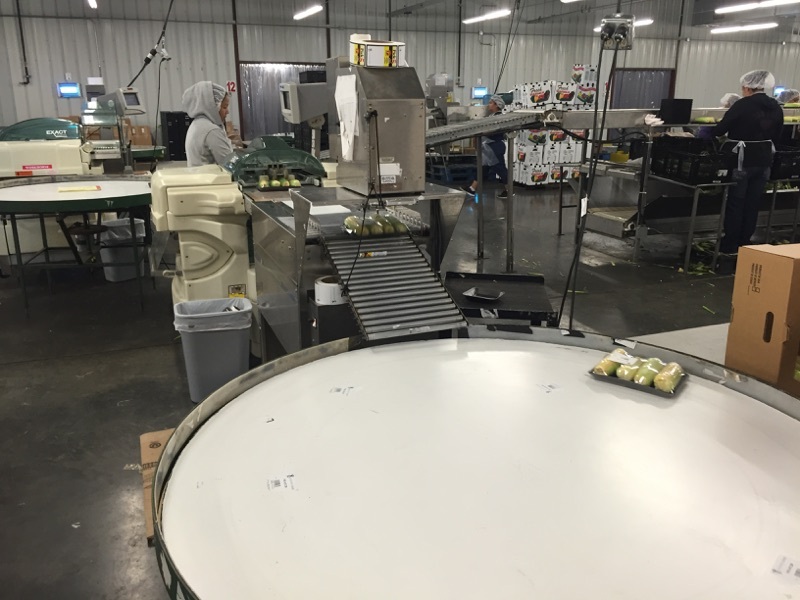 Moir Beamer realized the pitfalls of producing vegetables for the wholesale market was the market itself. What VPC has done is offer contract pricing to producers by linking the buyer (grocery stores) to the farmer. 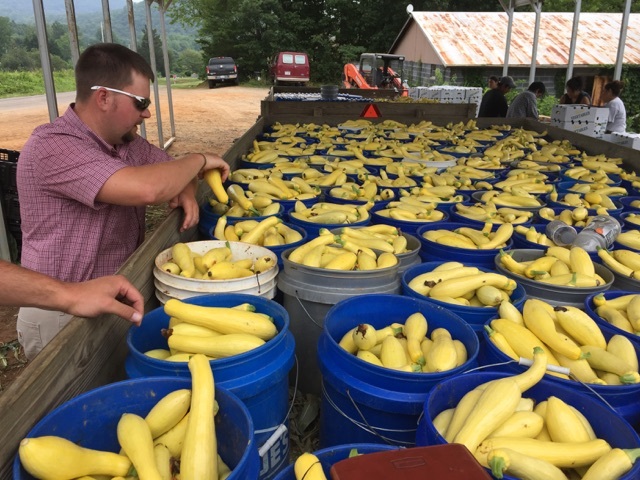 The success of this farm management program was evident just down the mountain at Worrell Family Farms, where Alan and his wife Kelly have grown their farm operation from just 5 acres of sweet corn production less than a decade ago to 250 acres of squash, sweet corn, and string bean production today. Not only has the increased productivity of VPC benefited them with the cycle of growth, others are also experiencing their own cycle of growth as a direct result. In addition to great business leadership, Gary Larrowe has offered great leadership at the county government level. Through development of their industrial park, farmers market, and the new agricultural S.T.E.M. lab at the high school Carroll County has laid the foundation to success. We see as the result is a resurgent agricultural economy, infrastructure improvements in the industrial park bringing in good paying jobs, and improvements in the local education system. It is exciting to see Carroll County work to change their economic condition, promote production, and jump on board the cycle of growth. As people in Hillsville and surrounding areas pack their lunch and head off to work, many can attribute their jobs to the business leaders that have taken the risk to do more. Those leaders that have saved, toiled, and reinvested in themselves and their businesses are to be heralded. For their success in business and wealth creation leads to more success in our [eco]nomy.